Brace Yourself! Polish Parliament Election coming this autumn! USPA NEWS - This autmunn, Parliament Election in Poland will unusuall then in previous years. Two women will take competition for the Prime Minister chair to rule Polish government for next four years - actuall Prime Minister Ewa Kopacz and the Beata Szydło. The Parliament campaign started this week by Party Conventions of actuall ruling Civil Platform and the opposite Law and Justice Party. At this conventions were presented two candidates for a Prime Minister position. 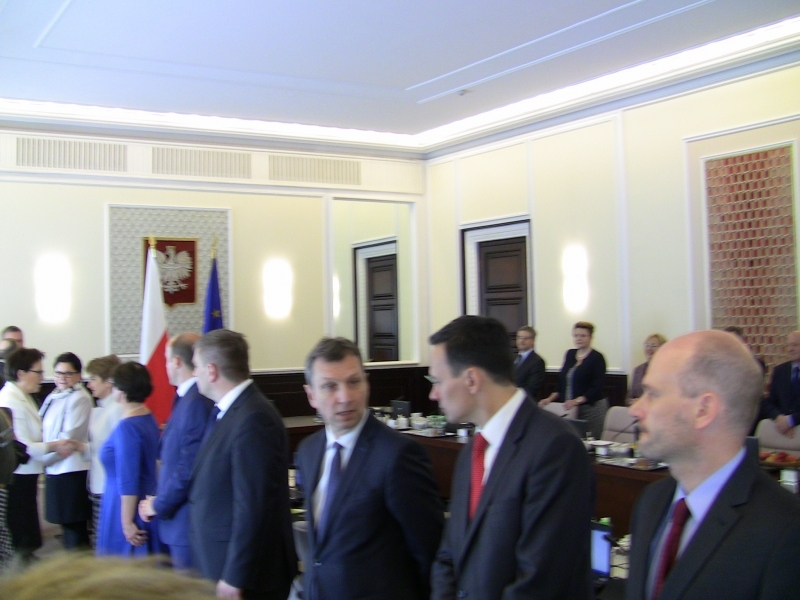 Civil Platform Campaign as expected will be leaded by current Prime Minister Ewa Kopacz, former ministry of health in Donald Tusk(current President of European Union) cabinet and former marshal of Polish Parliament. She become Prime Minister after Donald Tusk dismissal in Semptember 2011. Tusk resigend from his office because he was choosen for a new President of European Union(pledge in November 2014). After a year of her rule, she became very unpopular keeping the social attitudes the lowest for a years. His rival will be viceleader of Law and Justice Party Beata Szydło, former leader of president-elect Andrzej Duda presidential campaign in which she took a big part. On his party convention she was selected by current leader of Law and Justice, Jaroslaw Kaczynski - brother of tagic dead in Smolensk accident President Lech Kaczynski. Mrs. Szydlo said the she will be open for dialouge with everybody. But if she win election will she be enough independent from her party or she will be just a doll of Jaroslaw Kaczynski, who i very unpopular around Polish people? Answer for this question we will get this autmunn. After presidential election which result was 51.55% for right wing Duda and 48.45 for Bronislaw Komorowski, actuall president, Polish societ is split as never before. For USPA NEWS was writting Przemyslaw Lanowy, Katowice, Poland.